The Vision: To explore the outer edges and capabilities of electronic musicality without compromise, to turn sound design into an art and aspire to make records that sound like no one or nothing else. A decade deeper: From their drum & bass roots they’ve proceeded to stamp all over the musical map to become one of the most established and uncompromising acts in electronic music. From their unique, custom-built floating triple-studio complex in Groningen, they’ve created benchmark productions, established three respected labels (Vision, Division, Invisible), remixed rave titans such as The Prodigy and Skrillex, curated their own Noisia Invites festival and scored games such as Devil May Cry and Counter Strike and music for movies such as The Man From U.N.C.L.E. and Transformers 3. 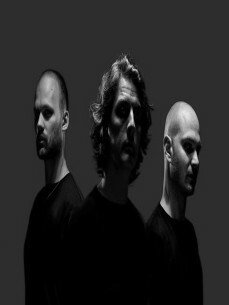 To really understand where they’re coming from, what makes them tick and how their unique three-headed machine works, visit one of their Noisia Invites shows. A place where the trio hold court, bouncing off the sonic chaos of guests from Gaslamp Killer to Teddy Killerz. Or lock into a Noisia Radio show where each show reflects their humour, as well as the wider and more experimental tastes that they can’t express in their sets. Crucially, check out Outer Edges: The band’s second album and performance concept, a vast project that sees them exploring the peripheral boundaries of their expansive palette, pushing and pulling their vision further than it has previously ever been. Musically trouncing any typical treatments, arrangements and elements. Visually heightening, physically stimulating, technically unique and immersive in such a way it translates from festival main stages to underground clubs, Outer Edges is the most defining chapter in the trio’s ambitious vision so far, allowing them to realise their designs in a whole new performance context. New limits set both in the studio and on stage, the outer edges have been established… Only to reveal even further targets in the distance. The uncompromising explorations continue.